Hi there are you all ready to move on to the 2nd part of this sew along? A few people have showed me their 1st blocks. 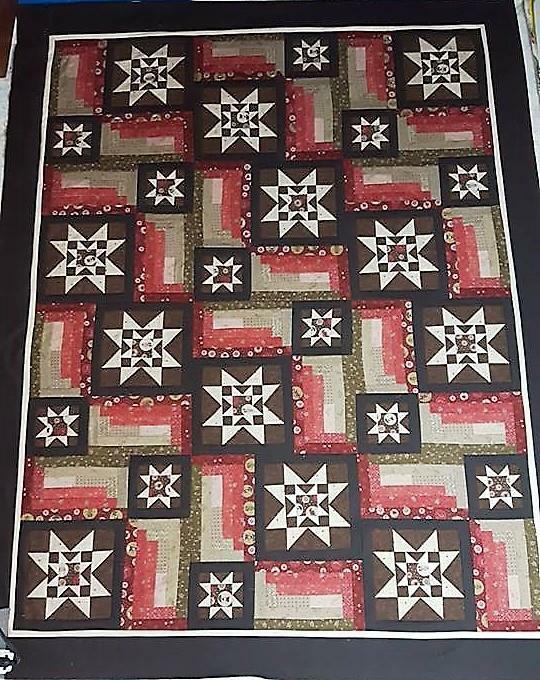 This week we will be working on the small stars of this quilt. We will be making all the small stars for the blocks. This first part you will all be working with flying geese and I will be having you make them 4 at a time then trimming them down to the size required. Lets get on to making the block. Here is a photo diary of the block as I made it. Press open and trim to size. In a previous post I explained how to trim down your flying geese… If you need reference to this the link can be found at How to trim flying geese. Id like to remind everyone that precise 1/4 in seams will be needed for this. If you’re using thicker thread it will take up more space therefore making your finished block out a tad.